« How long to soak sake rice? Hello Will. It has been a while, nice to hear from you (my fault for not posting much recently). OSWSC is pretty small- it is right in the heart of the Distillery District where space is at a premium, but has everything a brewery needs to function. They don’t have a rice polisher, nor does the brewery here, as they both get their rice pre-polished. OSWSC ordered a steamer and a fune-press from Japan, had a Finnish sauna maker build a koji-mura, they have 3 fermentation tanks (around 600-800 L capacity each, I am guessing), an electric boiler, walk-in fridge, and a small, hand bottler. The space is definitely compact, and the half of the walls are glass, so customers can see the brewing process in action. 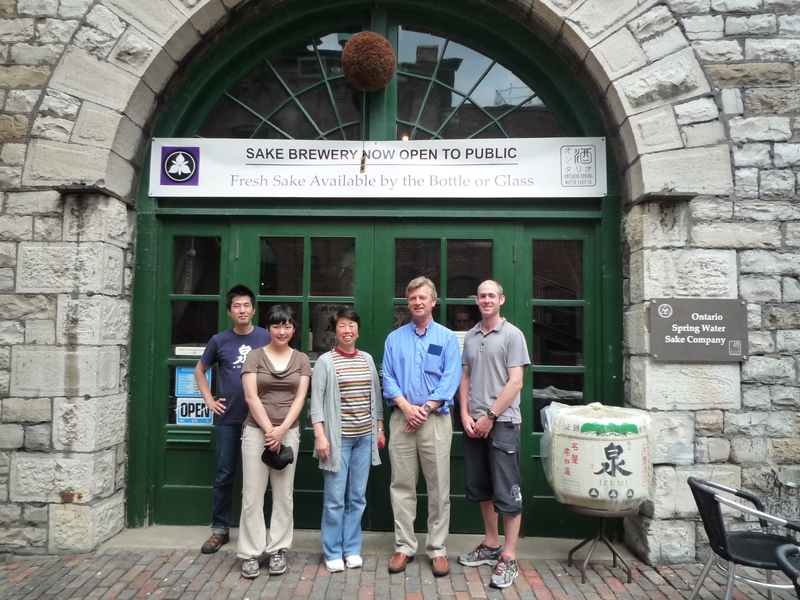 All and all, I think they have done a great job setting the brewery up, and are making good sake. Do you have plans to visit Toronto anytime? No plans really and I have never been to Toronto, well except passing through it when I was a kid. How is your brewing going? Do you enjoy it as you thought you would? I just visited Yasutaka-san 2 weeks ago, he is looking really good. Did you or are you still working on translating a brewing book? I have been working on writing one for the homebrewing community and it is coming along well.